Dynamic Roofing Concepts Inc. is a preferred roofing contractor in Odessa, Clearwater and the entire Tampa Bay region. As a family-owned and operated business, we have over 43 years of experience in providing the highest quality products and services to our valued customers. We pledge to never waver from our fundamental principles, which include informing our customers about all our roofing products and solutions so you can make an informed decision. We also pledge to provide the highest value for our customer’s hard-earned time and money. If your home or business is in need of roof repair or a full roof renovation, we hope you choose the roofing company in Odessa, Clearwater and Brandon FL that provides experts in the industry. At Dynamic Roofing Concepts Inc., every member of our team has passed the GAF competency exams as well being certified in Hydro-Stop Elastomeric roofing systems. Without a doubt, we are the most knowledgeable and experienced team of roofers in the Tampa Bay area, and we can help you achieve a high-quality, long-lasting and sturdy roofing system. To get started on the roof of your dreams, give Dynamic Roofing Concepts Inc. a call today at 813-657-7663 . 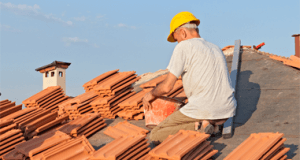 We proudly provide roofing in Odessa, Clearwater, Brandon and the entire Tampa Bay region. We also offer a convenient online form if you would like an estimate on a roofing service. Once you have filled out and submitted the simple form, a member of our team will contact you shortly. The entire team at Dynamic Roofing Concepts Inc. looks forward to helping you attain a quality, sound and reliable roof.